Drag bar magnets and a variety of other objects onto a piece of paper. Click Play to release the objects to see if they are attracted together, repelled apart, or unaffected. You can also sprinkle iron filings over the magnets and other objects to view the magnetic field lines that are produced. Determine which materials are attracted to a bar magnet. Observe the interaction of bar magnets. Determine that like poles repel and opposite poles attract. Understand that magnets exert force at a distance. Observe magnetic field lines for attracting and repelling magnets. 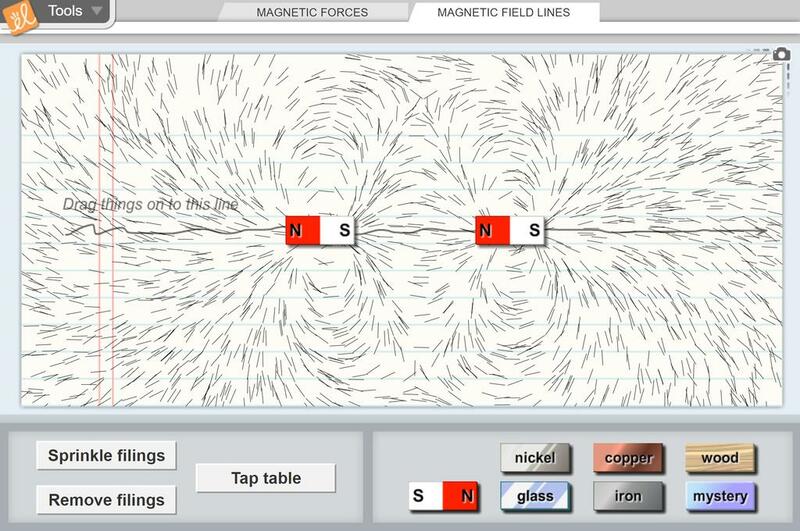 Use magnetic field lines to predict if an object will be attracted to a magnet or repelled. In Hawaii, properties of magnets is a second grade benchmark. So this lesson is adapted to meet the need... (more)s of these students. You can easily increase the rigor of the lessons by incorporating more of the suggested activities in the teacher's guide. Kids loved it and learned a lot.